First of all, we need them if we live in the frozen north and have to live indoors all winter. We recommend that indoor humidity levels in winter should be around 30 to 40%. Wintry cold air holds less moisture, and when it is heated indoors becomes even drier, setting the stage for itchy dry skin, sinus attacks, dry eyes and the like. 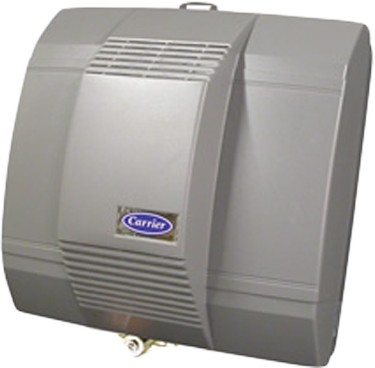 The good news is that humidifier technology has been improving over the last couple of years and humidifiers are now easier to maintain and do not spew out the white mineral dust which causes respiratory problems. Some humidifiers are even nice and quiet. We did find however that there is a universal tendency for manufacturers to exaggerate the square footage that is usually covered by their humidifiers. We have adjusted our technical specification charts on our web site to reflect what we believe to be the real square foot coverage. Humidifiers reduce the possibility of winter infection by keeping the mucous membranes moist and allowing the tiny hairs in the nose and throat to work to expel any particles that were suspended in the air. Dry aching sinuses receive a great deal of relief from a humidified bedroom. Sleep with a snoring partner? 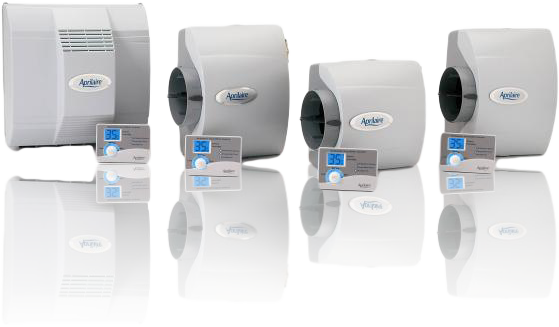 Humidifiers relieve the intensity and noise level of the snoring. Cold symptoms are greatly relieved by using a humidifier in your bedroom at night. Valuable wood furniture and floors, musical instruments are protected from cracking and warping.